Well the Constitution is taking a beating. It seems that having a sign on a public street is no longer allowed, here in America, this according to The Supreme Court. 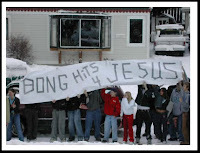 Five years ago Alaskan high school student Joseph Frederick held a sign up that said "Bong Hits 4 Jesus", ACROSS the street from school. Principal Deborah Morse crossed the street, took the sign and destroyed it. She suspended Frederick for five days, and when he refused to be a rat, quoting our founding fathers rather than giving up names of the others in his crew (one of which did'nt attend the same school), she doubled his sentence, ten days of suspension. Quite a lesson for a young man, not only are you not free, but you better roll over...or else. The District court agreed with Principal Morse, but the United States Court of Appeals for the Ninth Circuit did not, ruling in favor of our young patriot. In fact they went so far as to say that "Frederick's right to display his banner was so clearly established, that a reasonable Principal in Morse's position would have understood that her actions were unconstitutional". 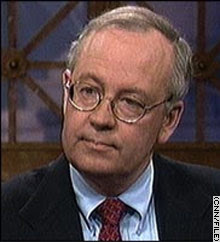 That ruling meant one thing, it was time to call in the Big Boys, Ken Starr, was going to represent the School Board and Deborah Morse FOR FREE in front the Supreme Court... what a guy. It was a sad day for all of America, as the The Supreme Court overturned the concise ruling of the ninth circuit, not only expanding the power schools have over our children, but ultimately limiting the freedom all of us have as stated in the First Amendment. Freedom of Religion, Press,Expression: Congress shall make no law respecting an establishment of religion, or prohibiting the free exercise thereof; or abridging the freedom of speech, or of the press; or the right of the people peaceably to assemble, and to petition the Government for a redress of grievances. 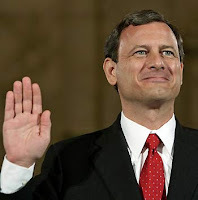 Chief Justice Roberts wrote: "School principals have a difficult job, and a vitally important one." Apparently being a school principal is so difficult that they had to destroy The Constitution just to get the job done, they ruled 5-4 yesterday against Free Speech. When they can take that away from us on PUBLIC streets, we are lost, and tyranny is setting in. This decision will be used over and over again to attack our right to free speech.